Nancy Cochran went to be with her heavenly father on Sunday, November 12, 2017	. She died from complications of Pancreatic Cancer. 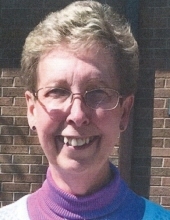 Nancy was a member of Christ United Methodist Church, Davenport, Iowa and memorial contributions can be made to the Choir Fund. There will be no services. Cremation rites were accorded and Quad Cities Cremation Center is assisting the family with arrangements. Nancy was born in Anniston, Alabama on June 15, 1947 to James & Iris Cope. Nancy and her Mom returned to Peoria, Illinois when Nancy was 2 years old. She attended Peoria Schools and graduated from Peoria Manual Training High School. She attended WIU in Macomb, Illinois. Nancy married Collin Cochran in 1966. They later divorced. Nancy worked for a construction company in Peoria until 1985 when she moved to Davenport and worked for McCarthy Improvement Co. as a secretary/bookkeeper. After attending American College of Commerce to study accounting, Nancy started her own bookkeeping service in 1998. She continued working until her death. Nancy built a home in Bluegrass in 1991 and lived there for 25 years with her mother until her passing in 2011. Nancy loved to bowl, read and most of all play hymns on her Lowrey Holiday Classic organ. She had taken lessons off and on for over 30 years, but started up full time when Critchett's/Lowrey opened in 2016. Nancy is survived by her pets, Karmelita (Karmee) her Shih-Tuz and Kalee, her Calico Cat. Nancy would like to thank her very special friend Cindy Kepford and Jack Hintze, her Christ Church family, her clients especially Dave & Lori French and her music class friends. There are many more that gave her strength and support in the transition from her earthly home to her heavenly home. To plant a tree in memory of Nancy Cochran, please visit our Tribute Store. "Email Address" would like to share the life celebration of Nancy Cochran. Click on the "link" to go to share a favorite memory or leave a condolence message for the family.